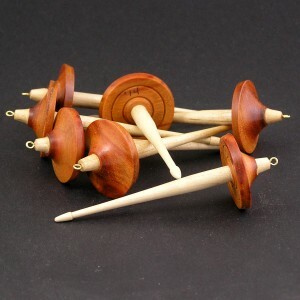 Its that time of year again to make a batch of my collectible Drop Spindle Christmas ornaments. This year, I selected Paela as the whorl wood. Paela is from Central America and is interesting as it changes color from brown to orange as you cut into it. These are about 3 1/2″ long and the whorls are approximately 1 1/8″ in dia. Perfect little ornaments. I write the date and my initials on the bottom for my collectors. I have been making drop spindle ornaments for a few years now. Spinners hang them on their Christmas trees, from their cars’ rear view mirrors and on their spinning wheels for decoration. Many will wrap a small fiber cop with their favorite colored fiber on the maple shaft. 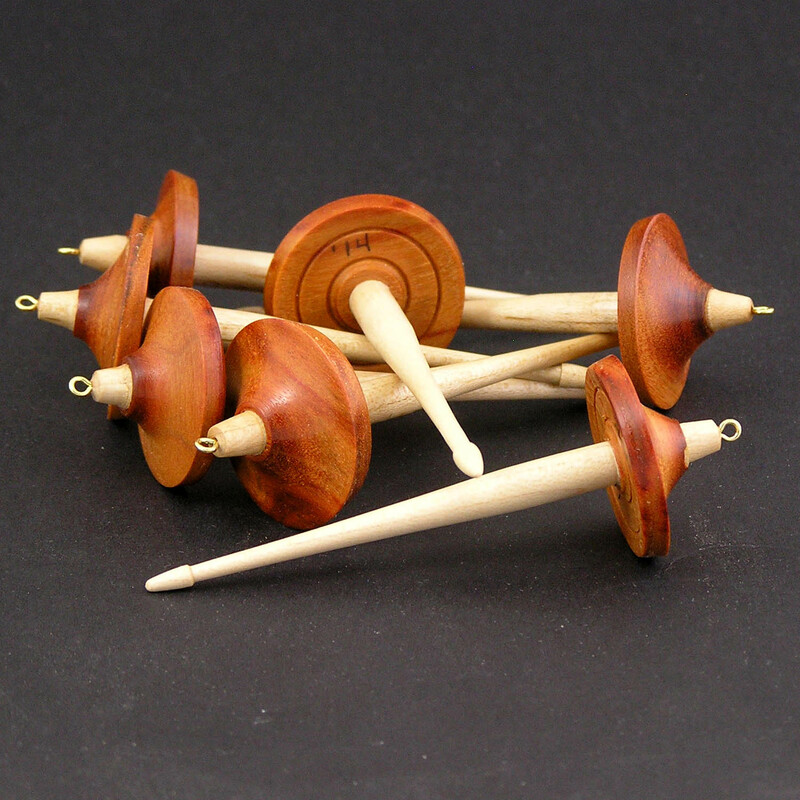 It is interesting that even though these are small, they take almost as much labor to make as an actual drop spindle. I still have to cut the whorl wood, drill a hole, glue in the shaft, turn the shape on the lathe, sand and apply the high gloss finish. All the the same work, just at smaller scale. I hope you enjoy seeing these little spindle ornaments.